Tampere University of Applied Sciences, TAMK is coordinating the project and is sharing the strong expertise and experiences of online and mobile learning. 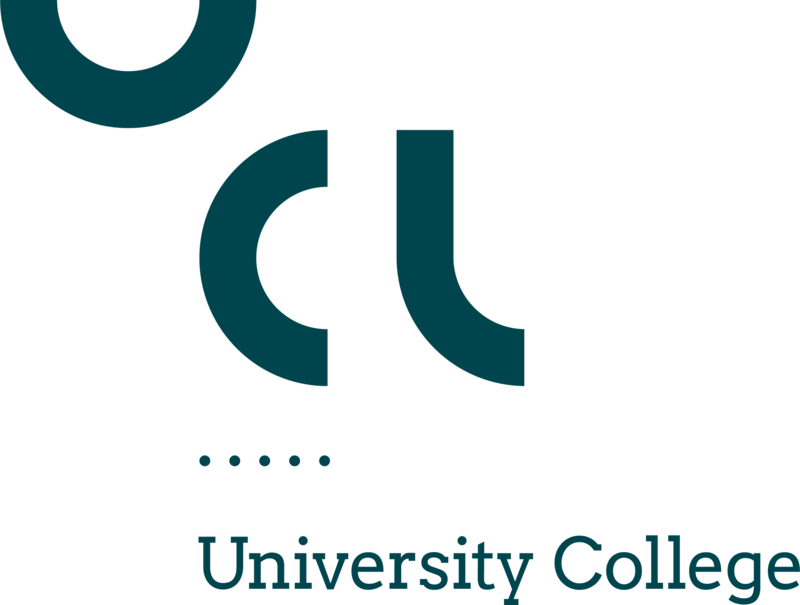 UCL University College, UCL is contributing with expert knowledge on the topics innovation and entrepreneurship to ensure that the modules developed in the project incorporates elements e.g. innovative and entrepreneurial thinking, knowledge and competences. Universidad de Valladolid, UVa is contributing with expert knowledge on teaching, research and collaboration with industry in the Environmental Science and Engineering fields, specifically on waste management, minimization, treatment, reuse and valorization processes. UVa provides the necessary knowledge on the state of the art, scientific fundamentals, industrial processes, and technology foresight and trends. ITMO University, is the leader organization of Curriculum design and adoption. ITMO is one of 8 Russian universities, which set up and run the Open Education platform www.openedu.ru. This education platform is allowing the students of Russian universities to get the education modules in other universities, which are the part of Open Education. In addition, ITMO University has a status of National Research University, which give the privilege of own accreditation of Master’s Degree educational programmes. The modules, which will be created in this project will be used as an essential part of the Master’s Degree Educational programme. ITMO will also provide online platform courses.ifmo.ru for piloting and dissemination purposes. Ural Federal University, UrFU is the lead organization in in quality assurance and monitoring in the project. It is obliged to hold meetings on quality assurance and monitoring. Additionally UrFU will organize several workshops in it’s premises during the project. As a Federal University it is one of the strategic tasks of Ural Federal University to allocate internationally acknowledged best practices and knowledge, integrate them into the everyday work of the university and disseminate these practices and knowledge further to the other regional and national universities in Russia. Tyumen State University, TSU is responsible for organization of a workshop for curriculum and learning module content planning including appropriate visits to West-Siberian Innovation Centre and research centers, some local companies in the field of waste management. TSU is going to initially use the modules to complete the existing curricula. Al-Farabi Kazakh National University, KazNU is the Leading organisation of Piloting the new learning modules. Al-Farabi Kazakh national university staff have the own Education platform on the base Open edX http://open.kaznu.kz. This educational platform enables the students from outlying regions of Kazakhstan to obtain knowledge on the individual modules using distance technologies. The new modules on sustainable waste management which will be created in the framework of this project will be integrated into the university curricula. Sh.Ualikhanov Kokshetau State University, KokSU´s role in the project is development of the study programme and courses, skills development of teachers and implementation of the new courses. Project activities include the analysis of the job demand in the direction of the project and to specify the needed job qualification together with practice partners. Furthermore KokSU participates in the development of a network / knowledge base on the topics and takes part in the international activities, disseminates the project results within the university and its network, includes quality criteria and feedback for the development of the new study offers and administers its project activities incl. the local working groups. M. Auezov South-Kazakhstan State university, SKSU is taking the responsibility as the lead organization for dissemination of the project results, actively participate in fulfillment of aims and objectives of the project. SKSU is willing to enter the new learning modules into existing Master’s programs. Ministry of Education and Science, Kazakhstan. The role of the Department of Postgraduate and Higher Education of the Ministry of Education and Science of the Republic in the project is to ensure the high quality and relevance of the contents of the new learning modules and curricula in sustainable waste management by giving feedback and expert advice during the development work of the project. A presentative of the Ministry of Education will participate in the major dissemination and exploitation events of the project and thus support the process of accreditation of the studies of sustainable waste management into the study programmes of universities outside the project as well as dissemination.